This past weekend two of my nephews and one of my nieces (and their dog) had a sleep over at our house. 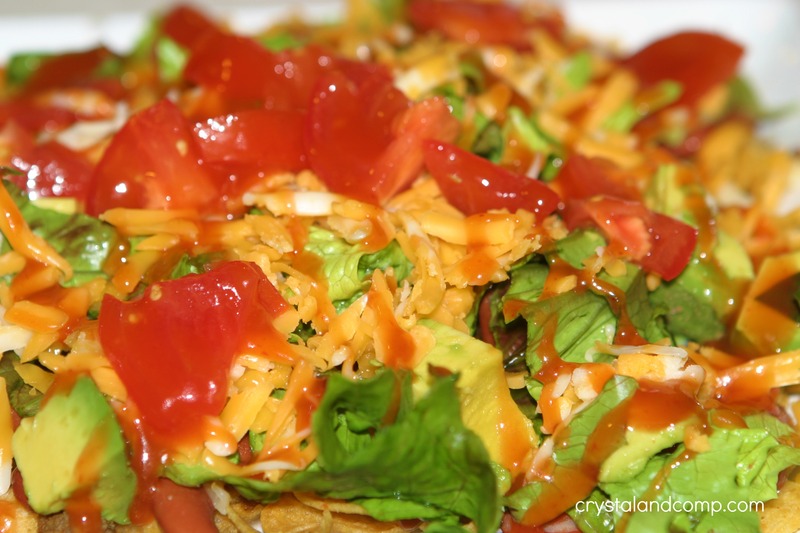 toppings- lettuce, tomatoes, avocados, sour cream, salsa, etc. Heat up your cooked taco meat. If it has been frozen you can defrost it and then warm it up over a low-med heat on the stove. You could also heat it up in the microwave. 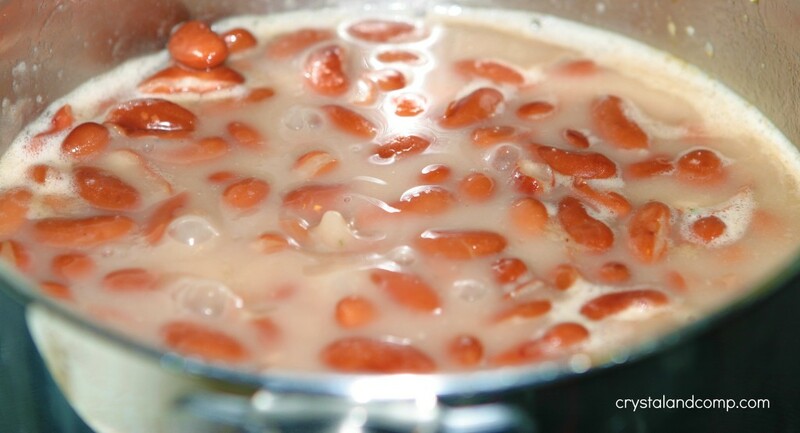 In a medium sauce pan heat your canned beans on the stove. 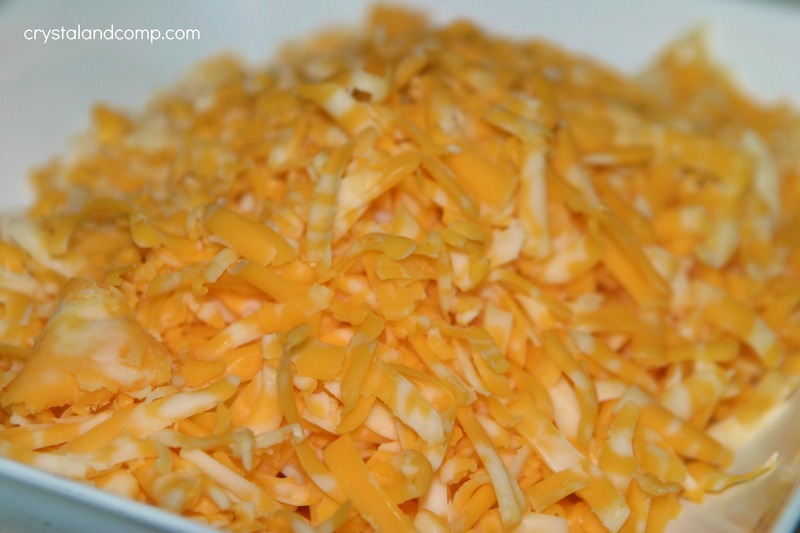 While your meat and beans are heating up, shred two cups of cheese. I chopped red tip lettuce, diced up some tomatoes and cubed an avocado. 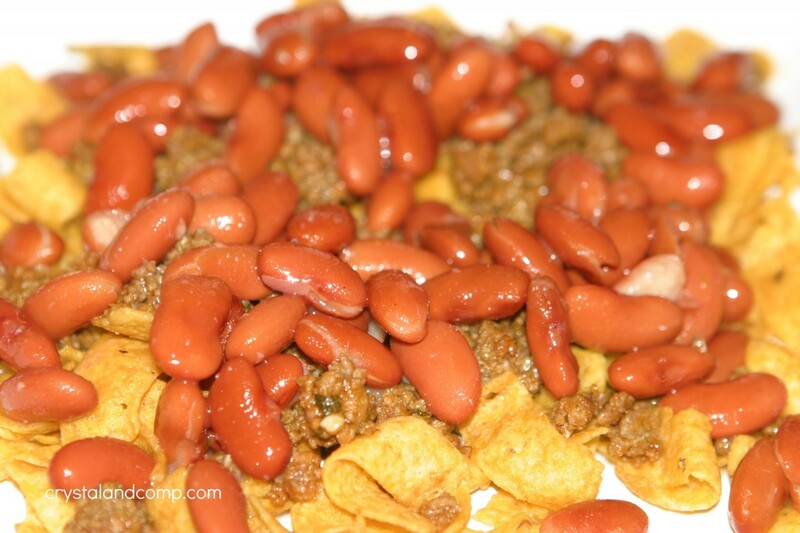 When the meat and beans are thoroughly heated, place a couple of handfuls of Fritos on a plate. 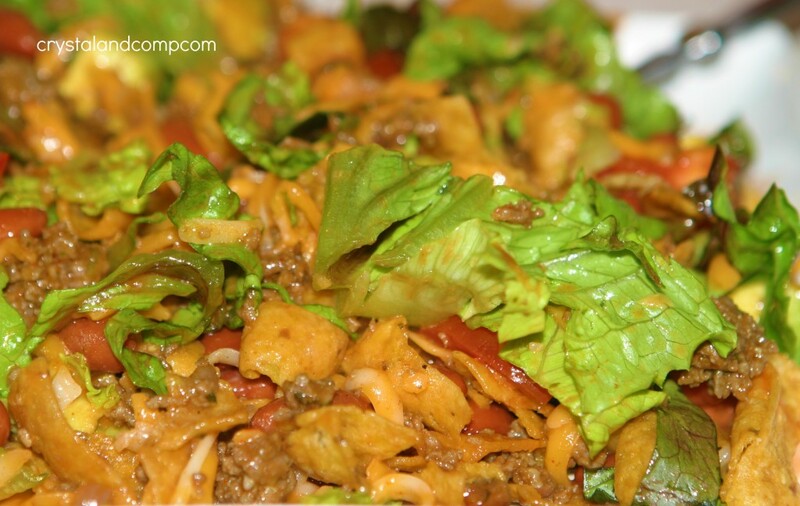 Scoop some taco meat over the chips. Scoop some drained beans over the meat. 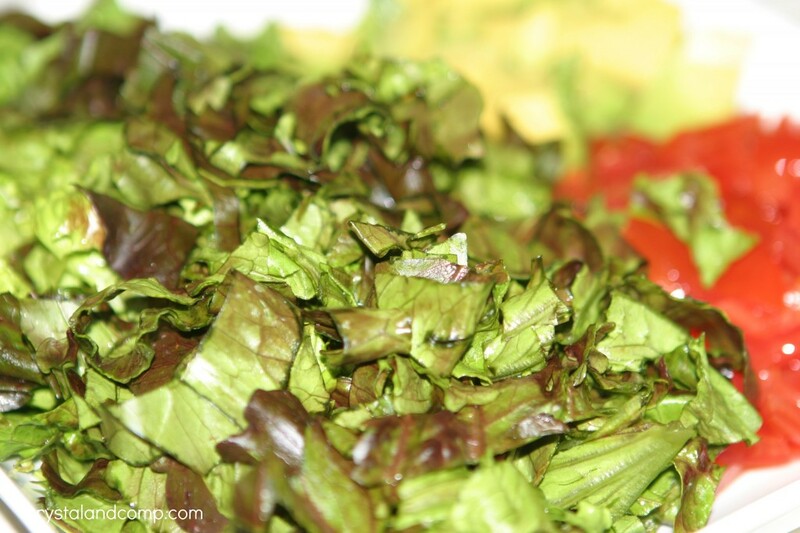 Top with lettuce, tomatoes, avocados, etc. Drizzle with Catalina dressing and/or top with salsa, sour cream, etc. My kids opt out of the dressing- I like lots! Mix the salad around to coat and combine. This recipe is perfect for a crowd and perfect for a busy school night! Prep your veggies. 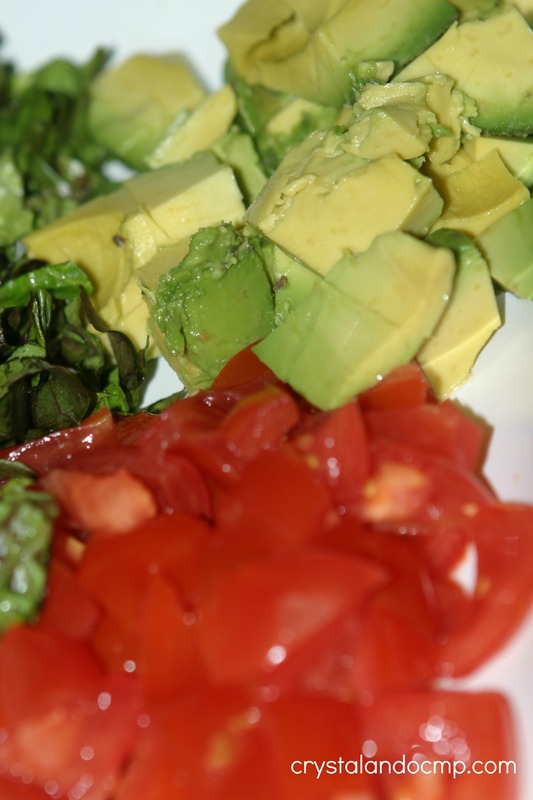 I chopped red tip lettuce, diced up some tomatoes and cubed an avocado. 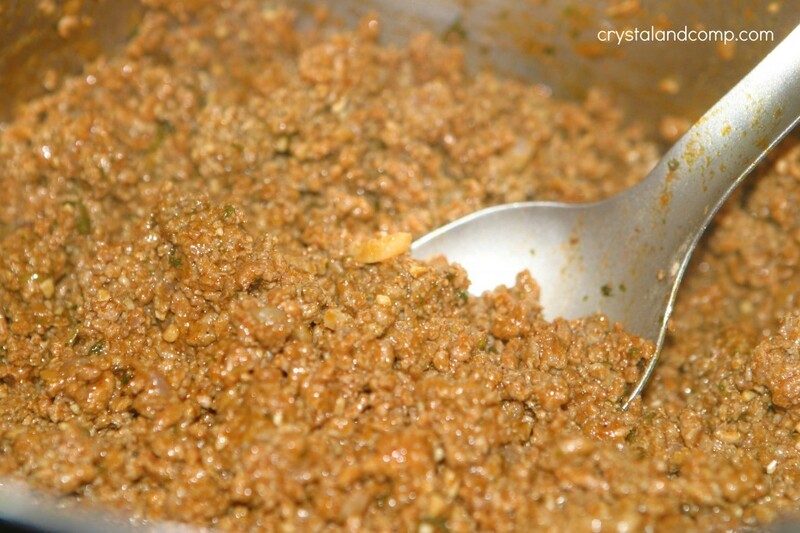 How to batch cook taco meat: https://www.crystalandcomp.com/2012/08/easy-recipes-batch-cooking-taco-meat-3-lbs/. 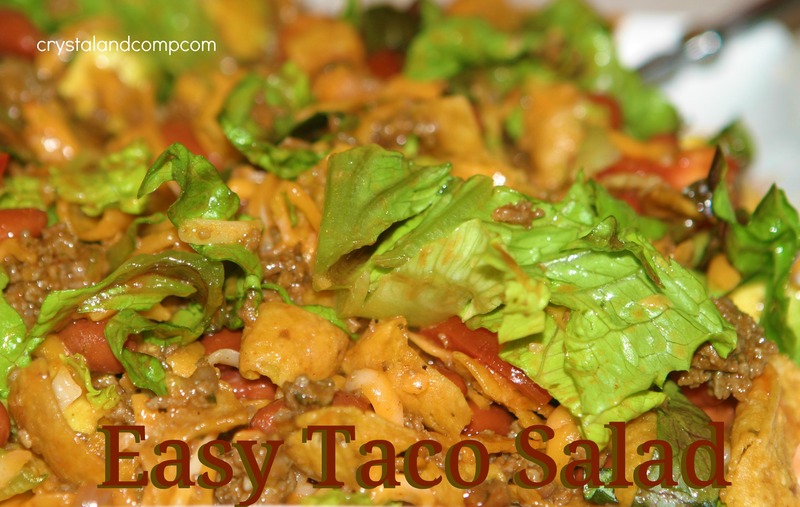 This is THE taco salad recipe. You can try Western dressing for a little more zip! This looks like a delicious recipe. I have a link party on Wednesdays, and I would love it if you would link this post. It is called Wednesdays Adorned From Above Link Party. It goes through Sunday nights. That looks wonderful! My daughter makes a delicious taco saslad a lot like yours. What a great recipe for a sleep over! Looks delicious! I love quick, easy meals and this looks delicious! Looks like a great and easy recipe. Sometimes in the summer, it’s too hot to cook. I just found your sweet blog..
Something about tacos and teens. It is the one thing my son will eat, great recipe. Thanks for sharing it on foodie friday.